"what came first: the chicken or the egg?" 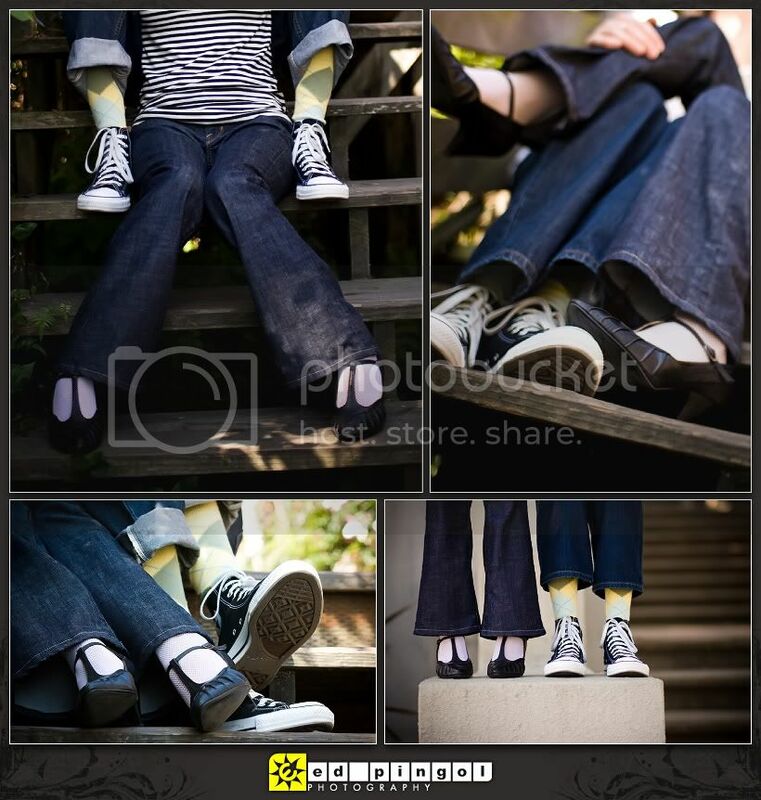 not sure if ed's recent fetish for shoe photos has grown from the awesome pairs adorned by our clients or if his photography is encouraging our clients to consider their footwear for the engagement sessions as importantly as they do their hair-do, make-up, and outfits. we may never know... regardless, we looove it when our couples bring along cute shoes! and cara & brian did just that! 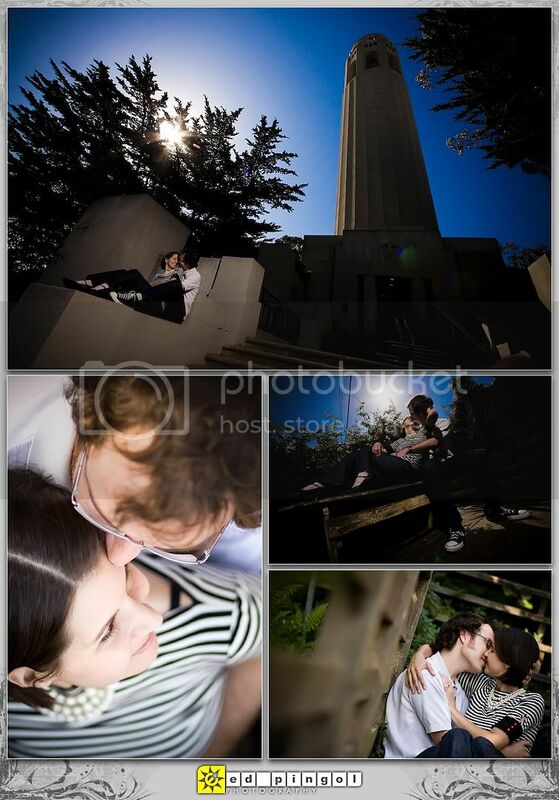 as much as we have passed by coit tower (, what we like to call the "finger tower,") on numerous occasions, we had never actually visited this local landmark until cara & brian's engagement session. sitting atop telegraph hill, staircases leading down into charming residential areas include some very lush vegetation. the city seems to disappear as you feel transported into beautiful gardens, tended by the homeowners. yet you know you're in sf once you hit a clearing and lay eyes on gorgeous views of the bay and city skyline. 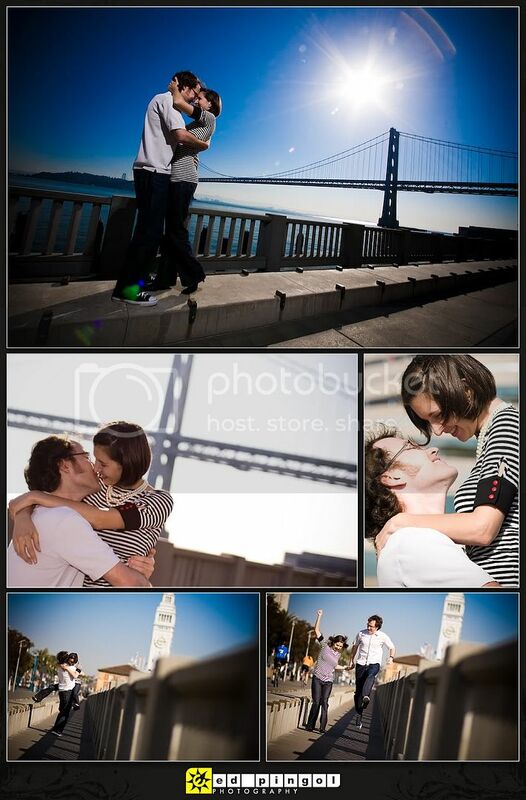 our second location was the ferry building on the embarcadero. this adorable duo wanted a vintage-inspired theme, complete with a final stop at taylor's refresher to share a traditional milkshake, with a modern bay area twist of "greenware" as the container. lucky for us, we had our good friend, peter, of mellange studio documenting the shoot on video. can't wait to see the final product! congratulations on your engagement, cara & brian! can't wait to see what'll be on your feet on your wedding day in september!